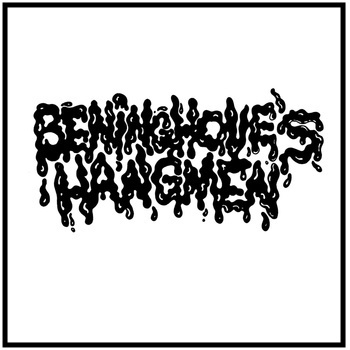 If you've been wondering what to put on at your latest party, or just looking for some good time music which isn't schmaltzy type slick R'n'B, or Lady Gaga, then look no further here's Beninghove's Hangmen. In fact just at the moment when you were wondering what could possible fit in between your John Zorn, Shock Headed Peters (*), The Lounge Lizards, Nino Rota and 3-Mustafa-3 records along comes this fine raunchy band lead by naturally Brian Beninghove, a saxophonist with a mission, or so it looks like if you check out his website. 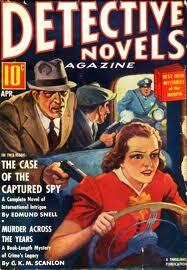 Here he's following up on a sort of retro music that mixes film noir, punk, rock-a-billy and of course a slice of jazz. 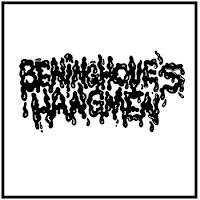 It's a great mixture of 'genres' which as I mentioned earlier is easily digested in plenty of situations, and like John Zorn's vision of the world of film noir and all that surrounded it Brian Beninghove obviously knows his references in this style. The album comes across as a suite, although I don't know if this is intentional, as the tunes don't link up or segue into each other, it's more a matter of coherence in the writing style that produces this effect. The tune's titles say much about the music and it's stylistic references, with names such as 'The Puppet-master', 'Tarantino (tarantella)' or 'Jack Miller'(**) one can't miss the film, pulp fiction or comic book references. To add to all this excitement is the fine sax playing of Bryan Beninghove who plays some splendidly screaming solos, completely in tune with the atmosphere of the music. The other players are no slouches either with some excellent guitar playing from either Dane Johnson or Eyal Maoz ... yes there's two guitarists, so whilst one is holding down the fort the other one gets a chance to rock (***). Both guitarists really let rip, balancing rocking chord player with feedback or raunchy distorted solos that risk taking your head off. It's nice to hear the blend between the various instruments, there's no ultra long sleep inducing solos, not on the album at least, just interventions with plenty of punch delivered at just the right moments. The front line of sax and trombone (the excellent Rick Parker) keep a good balance between pastiche and modern jazz when playing melodies such as Xopo (tk 2) a klezmer/Greek/Bulgarian horo type theme. Or Sushi Tango (tk 7) with it's retro melody which moves into party mode in the middle before returning to the serious elegance of the initial tango. In fact all the tunes have something on offer, Mingus like jubilance Roadhouse (tk 11) and even a ballad (of sorts) which signs off the album Film Sketch 1 (tk 12). There's not much to add really, if you like plenty of punchy music mixed in with fine themes that conjure up other worlds, real or invented, then try this one. Remember one more important thing ..... PLAY LOUD! Where can you find it? I'm not sure if you can buy a hard copy, but you can download it from here at their Bandcamp site. * = Do they still exist? ** = I guess this is John Jack Miller the crime writer, or maybe it was the screen writer who wrote some Tex Avery screen plays, or was it Jack Miller of DC comics fame? *** = If you enjoy two guitar format, and especially something with plenty of hard rocking energy and sophistication, then don't miss out on an excellent Canadian band - Fond of Tigers. Highly Recommended!